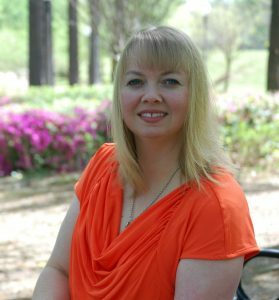 Interview with Author Tanya Eavenson and a Giveaway! Welcome to Readers Write to Know! I asked you, my readers, what questions they would ask their favorite authors if given the chance, and the authors visiting my blog answered them! This week, I am so happy to introduce you to Tanya Eavenson. If we were neighbors, she’d bemy friend — I know this because she loves coffee and chocolate — so, how can she not be my friend? Read on to learn more about her — and to see how you can win a copy of her Valentine’s Day book! Tell us a little bit about yourself. Sure! I’m a bestselling and an award-winning inspirational romance author. I enjoy spending time with my husband and our three wonderful children. My favorite pastime is grabbing a cup of coffee, eating chocolate, and reading a good book. Tell us about your current release. To Gain a Valentine is the second novella in the Gaining Love series. Here’s a sneak peek of Patrick and Amabelle’s story. If you knew ahead of time your book would benefit only one person on their spiritual journey, would you still write it? Being in the ministry, numbers are always discussed. How many are in Sunday school, during worship service, in the women’s Bible study, and the list goes on. Yes, those things are important to know we are reaching others, but sometimes we get so caught up in the numbers and wanting to be successful in what we do, we lose sight of why we started in the first place. I see writing as a privilege whether the words of my stories speak to a large audience or to someone who has picked up my book for the first time. I started writing to honor God, so if that meant writing a story for just one person, then I was to write the story. With all those characters in your head screaming to get out how do you write fast enough to get it all down? LOL! I don’t! They’re still screaming to get out! =) What I normally do when I have stories that keep me up at nights or get me so distracted I burn dinner, I give in and allow my characters to have free rein of my thoughts. Over the next several weeks, I’ll carry around a spiral notebook and jot down everything I can think of, regardless of how it sounds, allowing each scene to play out in my mind. Then when I’m ready to write the story, I have everything I need to begin. What is your personal, most effective way to get past writer’s block? My most effective way to get past writer’s block is to fix a cup of coffee and watch the Hallmark Channel. I’m telling you, it works! What advice do you have for aspiring writers? The best advice I’d give to a new writer besides encouraging them to study the craft or find a critique group, is to never give up. Writing isn’t easy. The journey has so many highs and lows that if you give up, you’d never know the person you’d become, or how your stories impact hearts and lives in the process. What is your preferred method of writing? (computer, pen & paper, etc.) I actually spend about 50/50 between writing my stories in a notebook and on my laptop. What is one thing that you “never saw yourself doing” and either do it now or have done? It might be hard to believe, but it was writing. I remember saying with ready fingers pressed on my keyboard, “Are you sure, God? I never wanted to write. Never cared to write.” But there I was, typing away at the keys with a burden to share a story I had no idea where it was heading. I’ve also recognized the story I’m writing isn’t the story I set out to write. It has to do with this journey I’m on as an author. How my words make a difference. Or how, relying on God to direct my path takes faith. I don’t know where He will lead me, but I do know I need to trust Him. That’s the real story. http://www.tanyaeavenson.com/ on Facebook, Twitter, Goodreads, Google, or on Amazon. 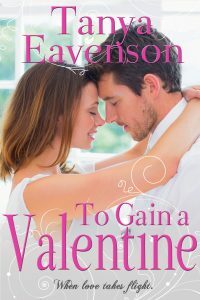 Win a Kindle copy of TO GAIN A VALENTINE! 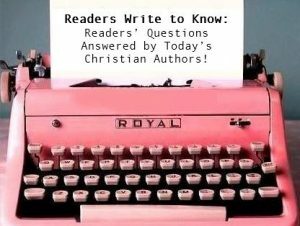 This entry was posted in Blog, Hallee's Interviews with Christian Authors and tagged author interview, readers write to know, tanya eavenson, to gain a valentine. Bookmark the permalink. 17 Responses to Interview with Author Tanya Eavenson and a Giveaway! Love Tanya’s books. Awesome writer. Aww…thank you so much, Diana!! Thank you for visiting! Thanks for introduction to new author. Susan, so grateful for your visit! I don’t have cable, but when I visit my daughter she know what I like…those amazing Hallmark movies! I know what you mean, Linda! Enjoy the movies! I love Hallmark movies and my absolute favorite is The Christmas Card. Melanie, I haven’t thought about that one in a long time! Swoon worthy for sure!! Hi, Connie! It’s great to see you here! And it’s true. Love Hallmark for being family friendly! Even when my in-laws come for a visit we watch movies together. Good times! My tv isn’t hooked up so I don’t have a chance to watch Hallmark movies. Brenda, when you do, you’ll love it! Thanks for visiting! I don’t have TV (cable is OUTRAGEOUS) but I did enjoy all of Hallmark’s movies when I did have it! Thank you, Robbie! I love how certain Hallmark movies stay with you! They are so good! Grateful for your visit! Love the Hallmark movies especially ones with Allison Sweeny! Yes! My favorite was Love On the Air! It’s a great one! We don’t have cable either. I’m surprised by all the comments of people who don’t. Maybe I’m not that different after all. I enjoyed the interview. I look forward to reading one of your books.